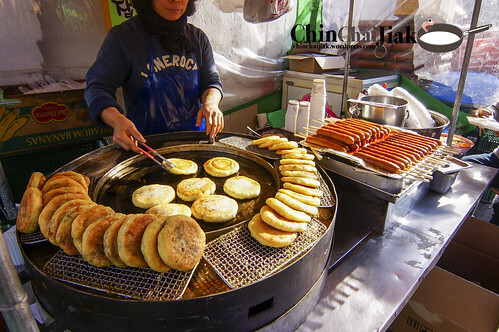 Apart from indulging in restaurant food, what is a Seoul Food trip without immersing yourself in their street food culture. 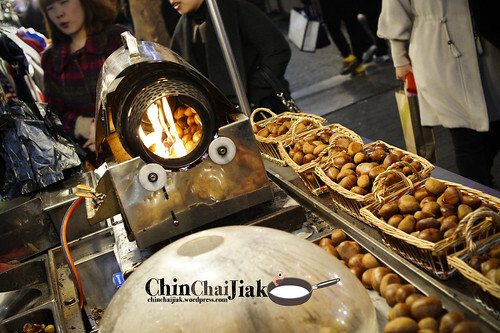 There are many places that sell street food but my favourite one is at Myeongdong district. 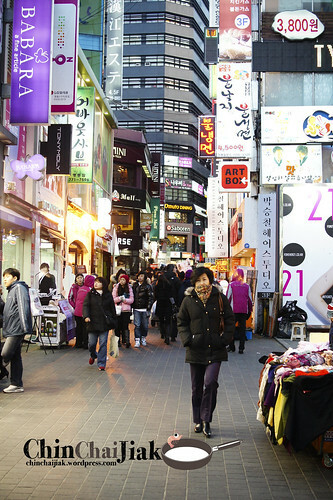 Exit from Myeongdong MRT at Exit 5, 6, 7, 8 and a busy Myeongdong shopping street will be presented right before you. 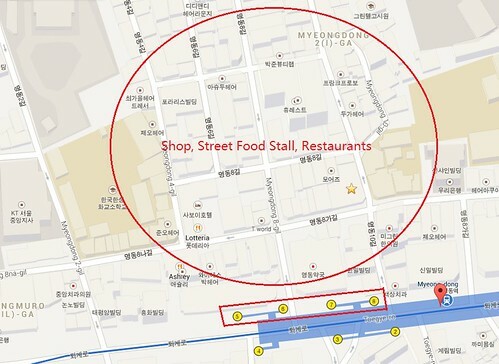 It’s an area where you can find everything you need for skin care and choices of restaurants and cafes are excessive. 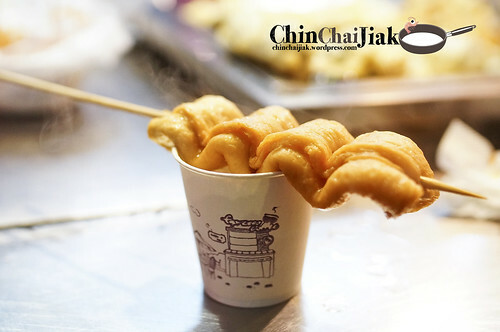 I do not have the exact location of these street food stalls but just walk around that area. These stalls are not hard to spot. This is one of my favourites. I had it the first time I visited Seoul and i made it a point to come back to the same stall again. At W$4000 (S$4.80), it’s not cheap but still reasonable for a whole cuttlefish. 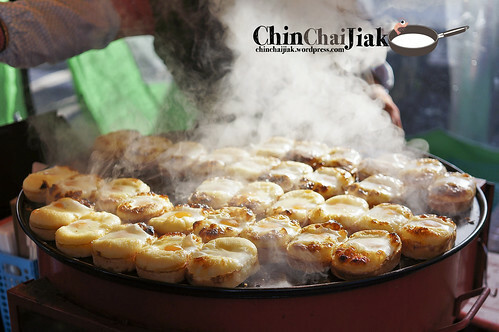 The frozen cuttlefish is freshly grilled by pressing it against a top and bottom electric grill. The originally flat cuttlefish is fluffed up after passing through the shredder. 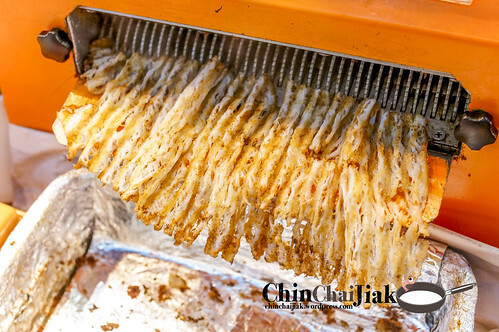 The piping-hot shredded cuttlefish is chewy but not rubbery and unlike most dried cuttlefish, the texture is much more enjoyable and is not straining on one’s jaw. 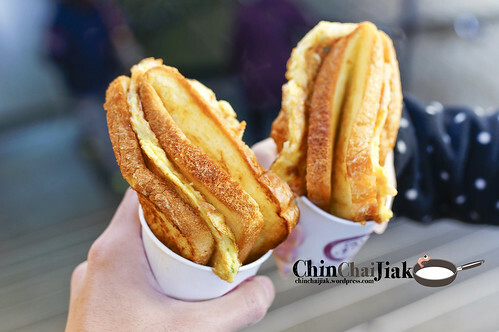 This gotta be the most seductive street food during a cold season. 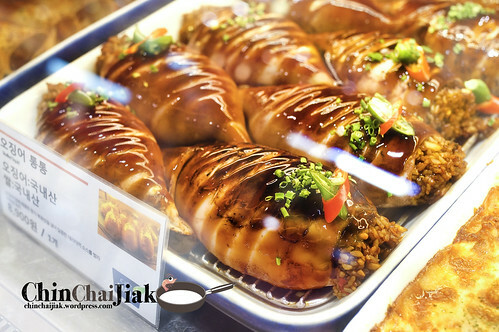 Hot steam is sprouting from the air vent of the pan, keeping the muffin soft and moist. The cake itself is steaming hot and moist and i love the texture but i thought it is a little lacking in flavor. It’s suppose to be a little sweeter. 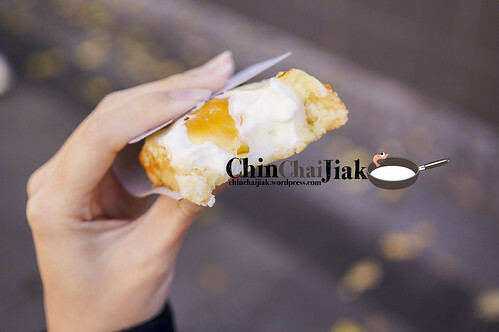 The egg yolk is fully cooked with no additional flavoring. 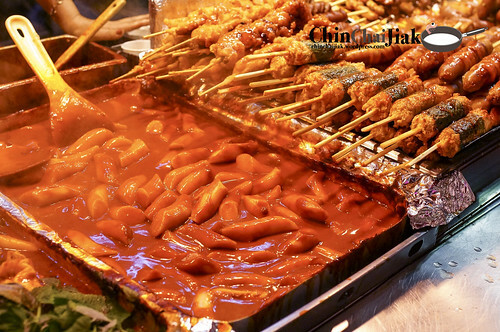 Tteokbokki, without doubt is the most popular street food in Seoul. This Korean soft rice cake needs no introduction. 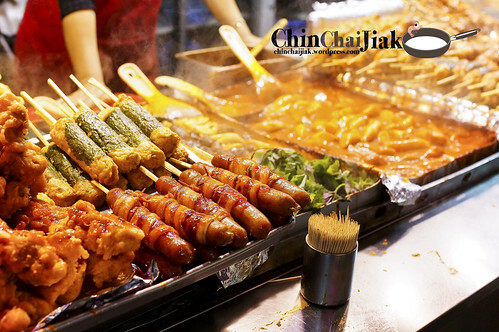 Most of them are cooked in spicy sweet sauce and serve in small bowl or cup. 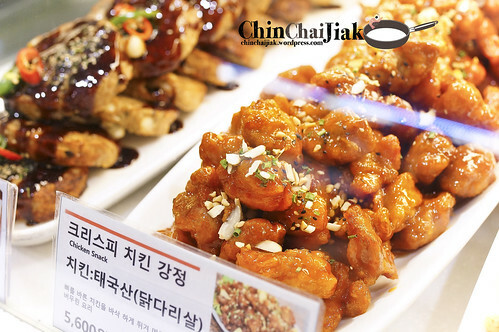 Unlike Singapore’s version, Seoul’s version are mostly spicy so do know what to expect. This cost about S$5 even in Singapore’s foodcourt but you can get a portion for less than S$2.00 in Seoul. 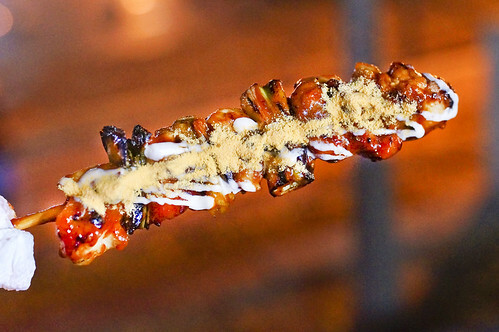 This is one hell of a street food. 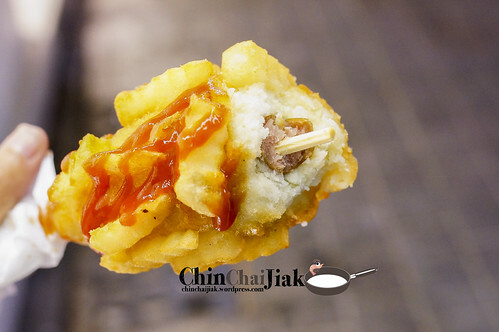 It’s a layer of fries, coated on a layer of bread, wrapping itself around a stick of hot dog and topped with Ketchup. 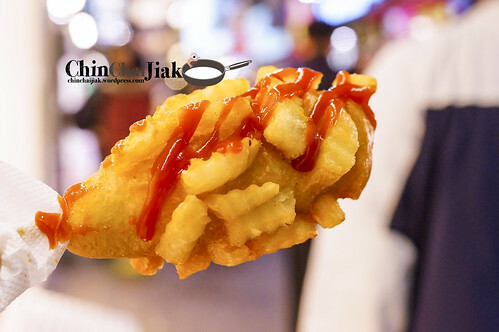 The idea seems sinfully good, but i suggest to eat this only when you are sure it’s freshly fried. Else, the fries exterior will taste rather soggy and greasy and you will end up scrapping away the fries and just finish the dog. 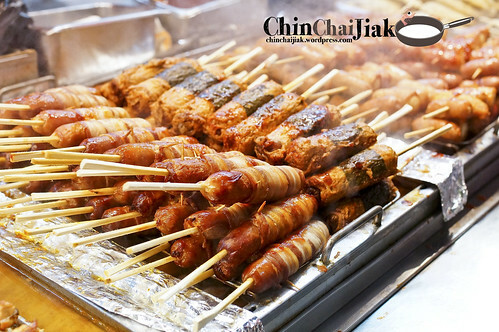 This is the best street food during winter season because the stick of fish cake comes with a cup of anchovies soup to warm your body and soul. The texture of their fish cake is soft and less springy than our Singapore’s version and it’s really tasty. Some people may complain about the MSG in the soup though. Poo pancake (Dong Pang) is very popular in Seoul recently. There was one particular stall that is really popular with really long queues. I saw this similar one at Myeongdong and although it may not be the best, this is pretty good too. 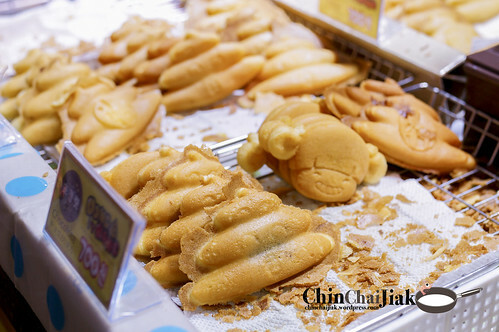 Initially I thought the texture will be similar to the Japanese Pancake (the one on the shape of a fish) but it’s actually more moist and texture is somewhat similar to a sponge cake. 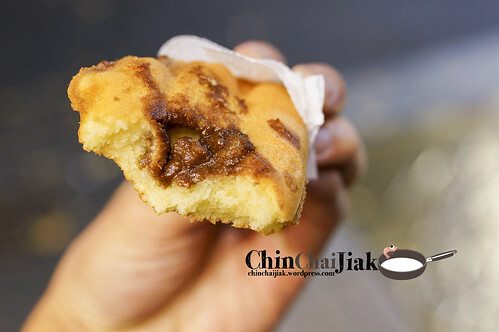 The exterior crust is really crispy and it comes with many flavours like Vanilla, Cheese, Chocolate and Red Bean. 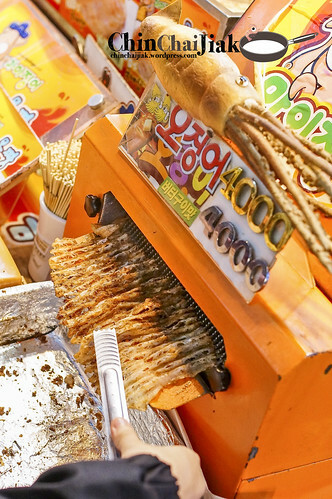 Hoddeok is one of Korea’s most popular street food. 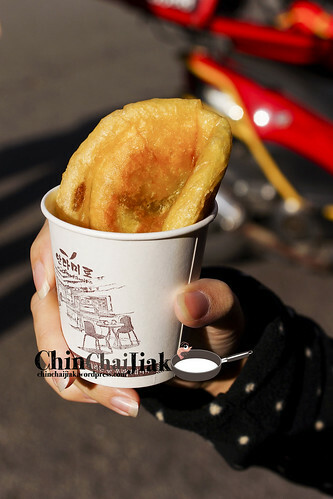 It’s freshly press-fried on a frying pan where the exterior is fried to crisp and is sometimes served in a paper cup. 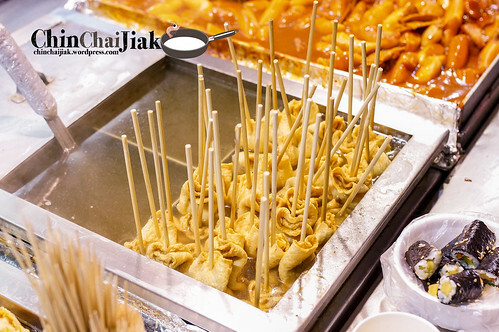 There are a variety of fillings and the most traditional one is made with brown sugar, honey, chopped peanuts, and cinnamon. 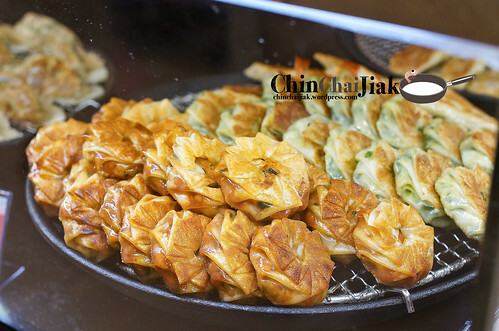 The paste is soften during the frying process and turn into a flowy semi liquid form. 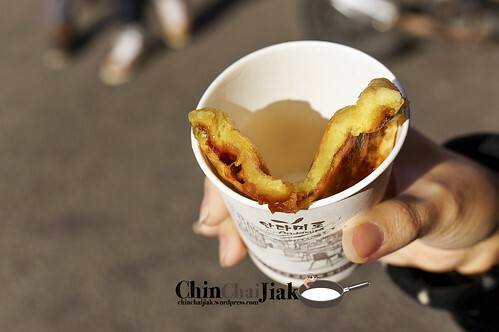 Hotteok is very enjoyable with a crispy exterior with a flavour packed filling. The sweetness is above average though. I believe what I had tried is only the tip of the ice berg as the variety of their food is just astonishing. 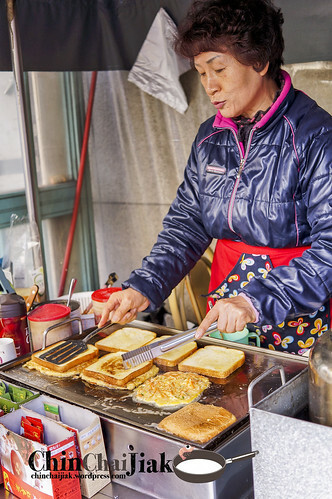 Induldging in Seoul’s street food culture is definitely one of my best Seoul experience and will continue to do so when info visit Seoul. 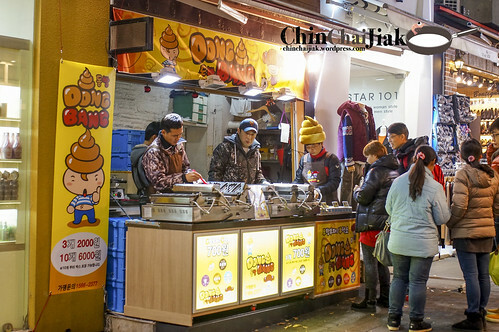 Myeongdong has a diverse range of street food and they only come alive from evening time. 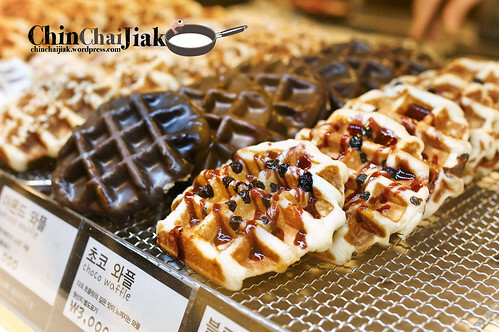 Remember to leave some space in your stomach in you are visiting the Myeongdong district. And for the ladies, remember to bring your shopping bags. The variety of skin care products you can find in Myeongdong is crazy. However please be careful with your belongings as it is really crowded on a weekend evening. If you are wondering what restaurants are there in Myeongdong, i previously wrote about the famous Myeongdong Gyoja and Yoogane Myeongdong branch. This is not found at Myeongdong but it was near to my hostel at Dongdaemun. You can visit this place if you happen to stay around this area. 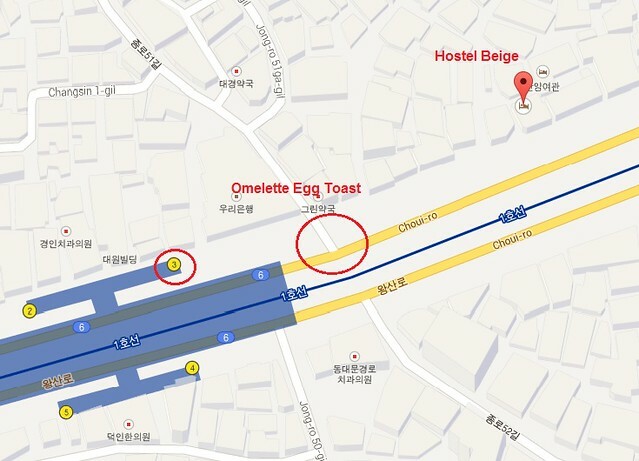 Every piece of toast and omelette are freshly prepared. 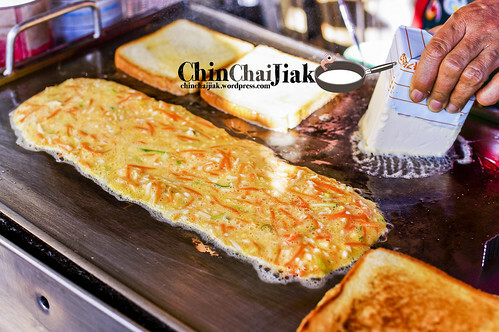 A layer of fresh butter is applied onto the hot plate and the bread are toasted over it. 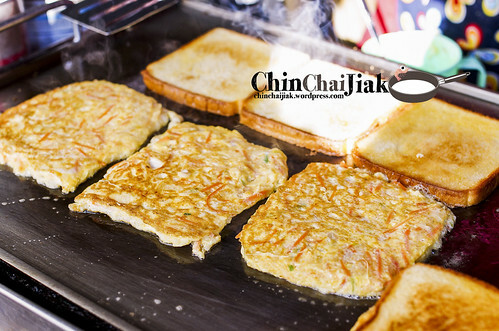 The thick chunky omelette has a mix of carrot, green onion, onion and each piece is meticulously prepared by the lady. The omelette is finished by sprinkling sugar over it. Trust me. The sugar version is nicer and more unique. I tried both. They are open as early as 6 am in the morning and is still operating at 12 midnight. Apart from Myeongdong, there is also a good section of Korean Snacks at the food department of Lotte Departmental Store. You may also want to swing by if you are planning to visit them. The selections there are quite amazing as well.